The cloud of points obtained from the 3D laser scan allows us to extract dimensions, to model geometric bodies, to lay out sections or to evaluate lines via a software. 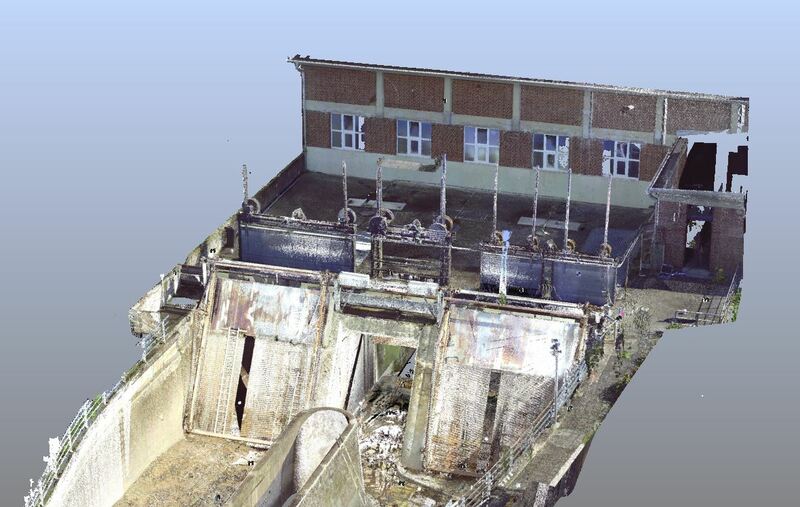 The 3D laser scan enables a very fast areal detection of irregular surfaces including 3D coordinates. The point cloud serves as an „image“ of the real world and can be used for planning. The ability to combine high-resolution images results in photorealistic display and visualization options. In the surveying and planning phase detailed foundations are of great importance in particular for the conversion of existing buildings. With our 3D laser scanning process your planning reliability will be increased. 3D scans allow you to create floor plans, sections and views of buildings, outdoor areas and interiors and to scale them into CAD programs. Conflicts can be detected and resolved in time. Consistent cost management supports you during a project from the first cost development to the operative project cost controlling, up to a final project review. One premise for using software in project cost controlling is that it is flexible enough to fully depict any project or company specifications. Our experts offer you this opportunity. A project review is a retrospective analysis with a focus on causes that led to changes in the project. Only a project review of a completed project allows the evaluation of the driven system. System Risk Management (SRM) consists of several well-known and accepted scientific methods that are used according to the project status and the analysis phase. The SRM is structured with a professionally led, competent team, proceeding according to method and plan, step by step, comprehensively and comprehensibly, and analyzed. Risk and Cost Management Systems are usually reduced only to the mathematically classifying aspect – which methods, whether of a qualitative or quantitative nature, should be used. For a successful implementation and in the broader sense a successful management, in addition to the choice of suitable methods, an adequate sensitization of the participants and a professional facilitation through the process is indispensable. In the open water route are the water levels measured on known cross sections, the associated flow is determined by wing measurement. For pipelines permanent measuring devices which are bigger than a certain pipe diameter are uneconomical. The mobile ultrasonic measuring device whose pipe diameter is up to 3000 mm belongs to our standard equipment. For larger pipe cross sections and turbines we are able to determine flow rates with sufficient accuracy using so-called „index measurements“. Sensors and data collectors record measured values in continuous time steps. With level measurement gauge are maintained, accumulation targets are maintained, groundwater levels are monitored, fill levels are determined and valuable results are achieved with high measurement accuracy. The forwarding and processing of signals as well as their evaluation and documentation is one of our core competences. The pressure measurement is used in ordinary level measurements. The oil pressure measurement even with the simultaneous presence of currents is just as important as the determination of the steady-state operating pressure. 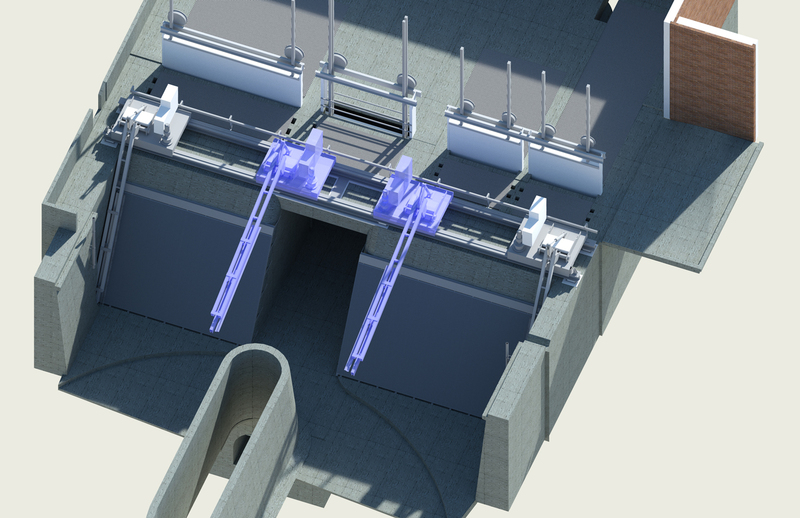 In medium- and high-pressure hydropower plants, water columns up to 2000 m and additional pressures from dynamic loads have to be considered. Here it requires the special equipment, the special knowledge and the sense of responsibility in the test operation. Whether measurements of solids, vibration measurements, non-destructive component testing or force and speed measurements. Whether for documentation, prevention or verification, we are happy to advise you and to create a measurement program tailored to your specific needs.